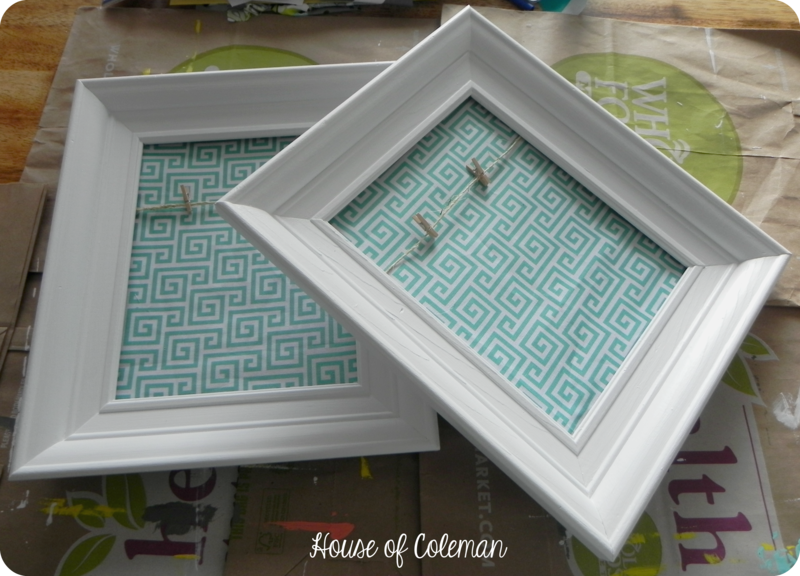 This is an easy peasy project! Takes literally less than 30 min and you can change out your pictures super easy when ever you want! I found my frames at my local Goodwill! On July 4th they were having a 50% off sale throughout their entire store! I picked up these two frames for .75 EACH!! 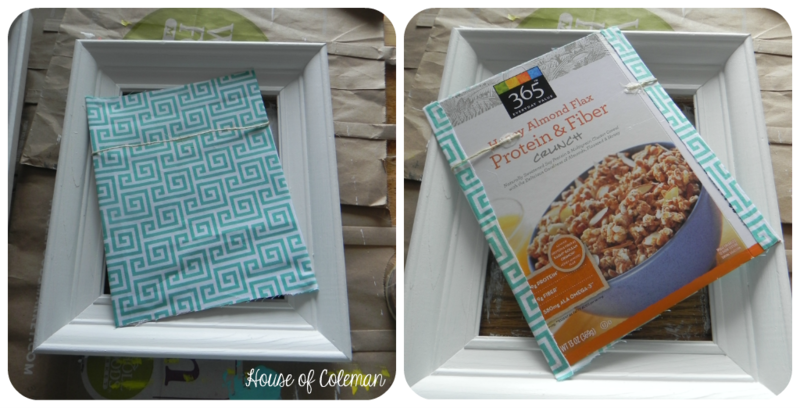 I was super lucky because these frames match so well with the larger frame I used for the Chore Organizer! These frames do not have a removable back or glass. The back is stationary and has a small slit in the top to slide in the picture. Since these frames didn’t come with any cardboard, like a regular frame would have, I had to make my own to attach the fabric to. I had a cereal box laying around so I opened it up, measured out 8×10 in two spots and cut them out. After my 8×10’s were cut out I cut out my fabric choice, 1/2 inch larger than my piece of cardboard on all sides (my fabric was exactly 10inches in height, I just glued the back of the fabric to the cardboard also so that it stayed in place) . Then I took my hot glue gun and glued the edges of my fabric to the cardboard. 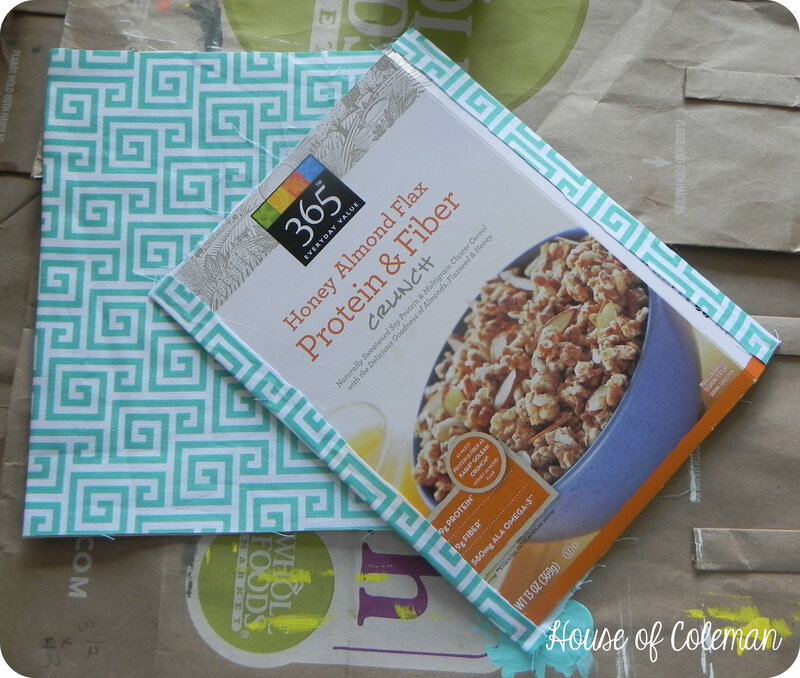 If your cereal box has a print on it, make sure you lay your fabric on the solid side. Otherwise you will be able to see the cereal box through your fabric. 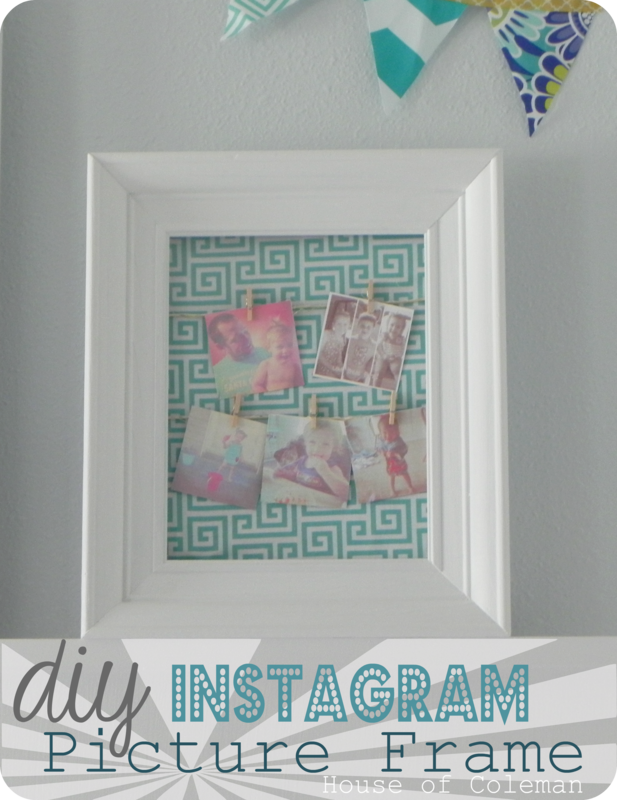 After you are finished gluing each strand of twine to your cardboard all that’s left is inserting it into your frame! 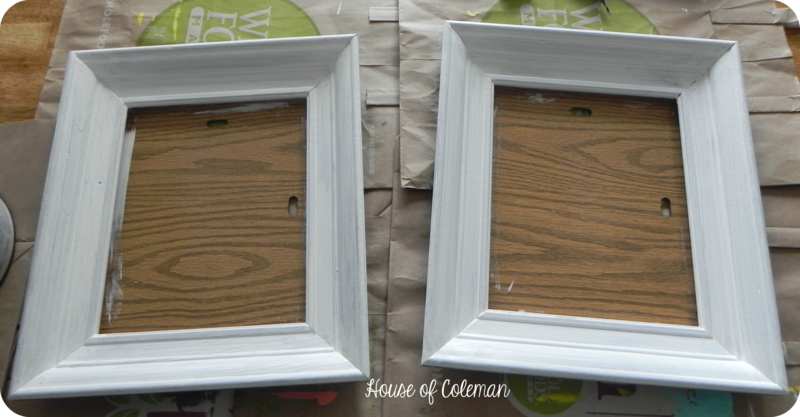 If you have a regular picture frame you do not need the glass, set it aside for another project, just put your frame back together without it. 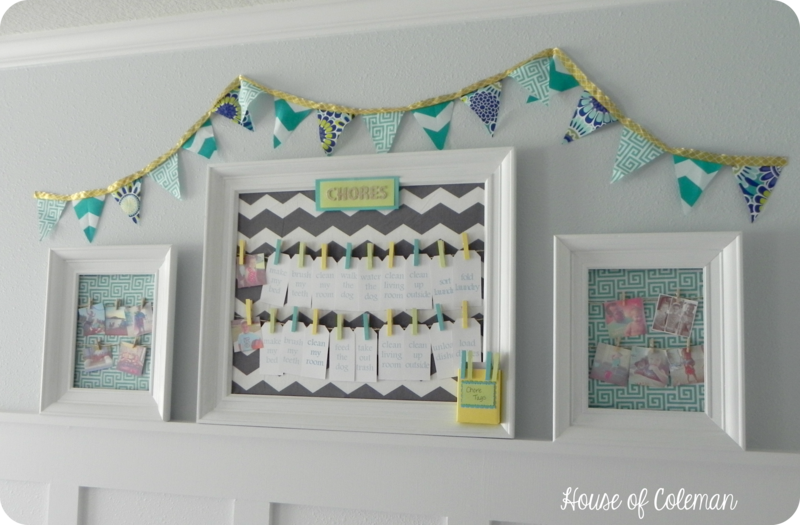 I purchased a package of super tiny clothes pins for this project from Hobby Lobby. They are so cute and work so well for this project. 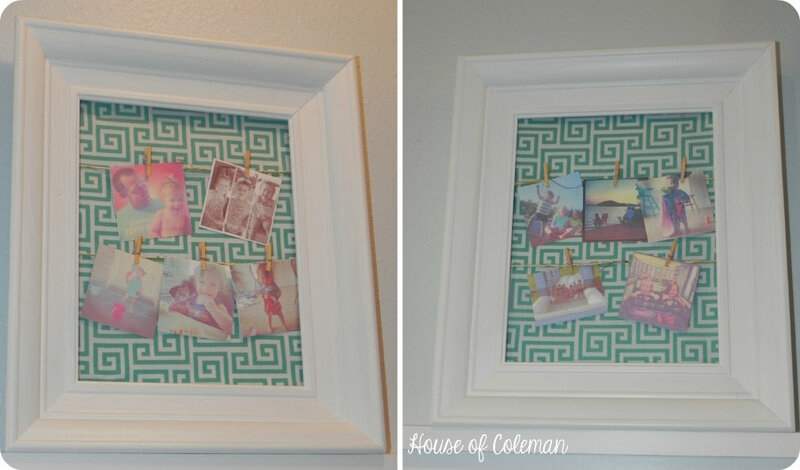 You are now ready to add your pictures and hang your frame! How easy and simple was that??!! 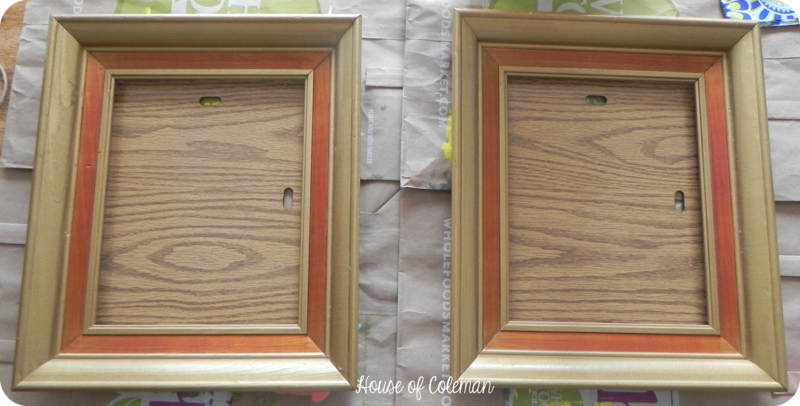 I love how easy these picture frames were to make. And they can be changed out in a snap. Here they are with the Chore Organizer.